Reach out to the public with professional Press Release Writing Services that involves quality & approved PR Writing under the guidance of qualified PR writers. These days, writing a news release or getting it written has become a common practice for most of the companies. This is because it helps to strengthen their online presence. So, why are you lagging behind? It’s time to spread the news about your phenomenal brand and its major upcoming events. To guide you in this direction, we have on board with us an experienced team of press release writers, who have been creating news releases since years for various high PR websites. Further, our team ensures that the press release is quality-driven in nature, so that it not only escalates your sales graph, but also increases your SEO rankings on Google and various other search engines. Why Do You Need A PR? If you are a businessman, you should never neglect the power a press release. People, who are successful in the business industry generally, use a well-worded press release to advertise about their existing or upcoming products and services. Apart from the entrepreneurs, other individuals too can create these stuff to reach out to the masses and spread awareness. So, when it is about communicating to the masses, it is the PR that would help you. ◆ Contains questions like, when, who, where, what, why and how. ◆ Is in a proper format, i.e. Devoid of grammatical errors, punctuation marks, spacing errors etc. ◆ Highlights your Brand and Company. ◆ Entails your Business Story. ◆ Is inclusive of all the information related to upcoming projects, past successful projects and so on. Your success is really important to us. Therefore, we hire only the most talented and expert professionals, who make sure that the quality standards are met, giving you exactly what you need. 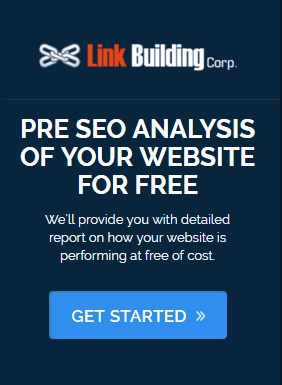 Our team creates the exact write-up that is both readable and SEO friendly. To accomplish this, we keep a strict watch on the quality of the content. Once it is written, it gets passed on to the editing & proofreading experts, who double check the content for grammar, accuracy and format. This way, we maintain the quality benchmarks. In addition to this, our team can also write all kinds of journalism content, like advertising material, feature articles and others. So, you can be rest assured that all of your writing requirements would be fulfilled here. If you are in a hurry, let’s make it easy for you. We commit for the fastest turnaround time that help you reach the masses as soon as possible. Simply provide us with the basic information as well as few keywords (to naturally embed for SEO) and leave the rest to us. We will handle your requirements with maximum dexterity. So, get in touch today and get closer to your audience..! !